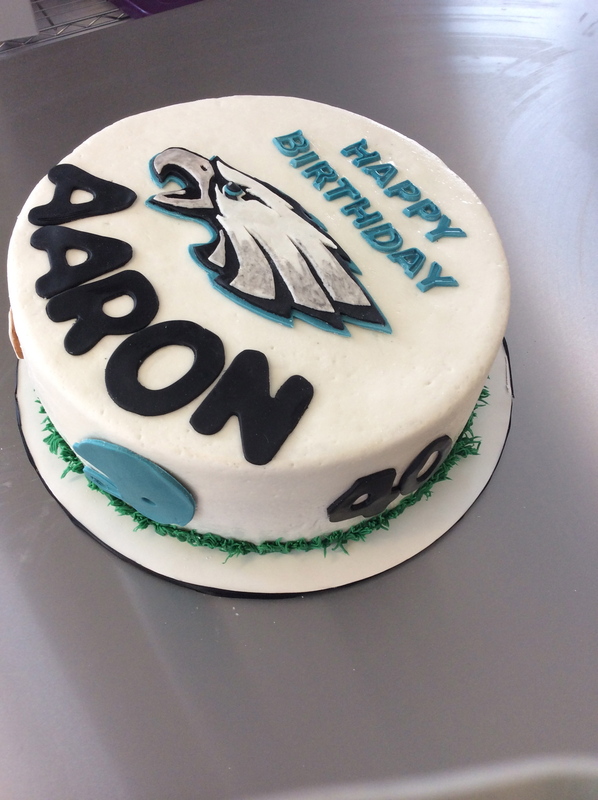 A fun cake that was also a speciality ordered cake, boston cream pie cake! It was white cake with a pastry filling and a chocolate ganache coating. I then covered the cake in homemade marshmallow fondant. 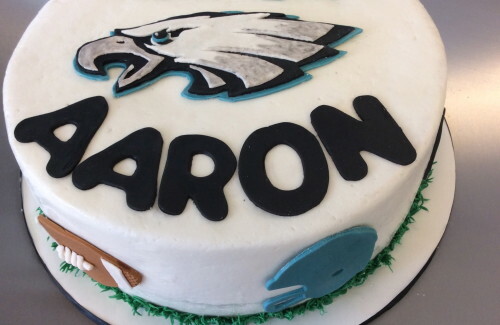 I hand cut the Eagles logo on the top of the cake. This was for a special 40th birthday party and was a cool cake to make. Hope you enjoy!